Our talented Caktus contractor Erin Mullaney was a core member of this year’s DjangoCon organizing team, plus five more Cakti joined as participants: CTO Colin Copeland, technical manager Karen Tracey, sales engineer David Ray, CBDO Ian Huckabee, and myself, account exec Tim Scales. At Caktus we love coding with Django, but what makes Django particularly special is the remarkable community behind it. From the inclusive code of conduct to the friendly smiles in the hallways, DjangoCon is a welcoming event and a great opportunity to meet and learn from amazing people. With over 300 Django experts and enthusiasts attending from all over the world, we loved catching up with old friends and making new ones. DjangoCon is three full days of impressive and inspiring sessions from a diverse lineup of presenters. Between the five Cakti there, we managed to attend almost every one of the presentations. Thanks to the 30+ Djangonauts who joined us for the Caktus Mini Golf Outing on Tuesday, October 16! Seven teams putted their way through the challenging course at Belmont Park, talking Django and showing off their mini golf skills. We had fun meeting new friends and playing a round during the beautiful San Diego evening. 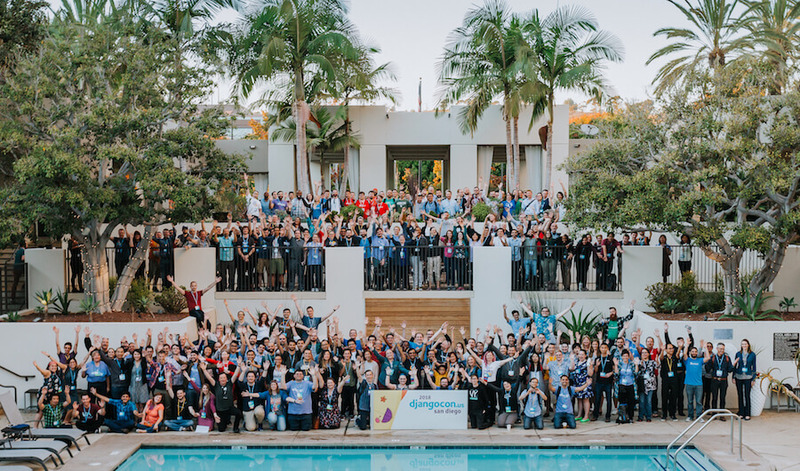 Thanks to all the organizers, volunteers, and fellow sponsors who made DjangoCon 2018 a big success. We look forward to seeing you again next year!